No! I want you to put down those homemade “Get off the couch, Terry” banners immediately. Stoppit. 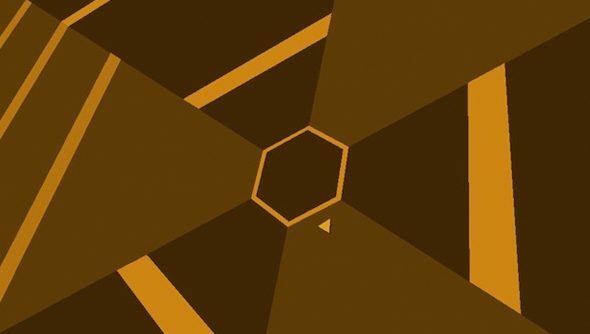 Super Hexagon iOS was a masterpiece of minimalist design, so slight it was barely there. In fact, I think this might be one of those occasions when less is, if not more, then at the very least totally fine. “Hoping I can get the local highscore table tournament stuff ported over to C++ for the PC/Mac launch of Super Hexagon,” wrote head hexagon trainer and VVVVVV creator Terry Cavanagh on Twitter today. “I really believe that Super Hexagon gets worse, not better, when you add stuff to it,” he added. Really, it boils down to this: do you like encroachment?